On Clare Musgrove’s first mission over Ploesti, Romania, he and the crew of his U.S. Army Air Forces bomber were certain to be shot at. Romania supplied the oil the Nazi war machine desperately needed for its tanks, trucks, and aircraft. 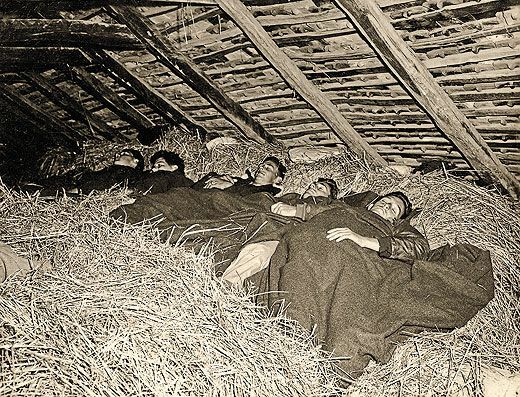 While the Germans vowed to protect the flow of oil from Romanian wells at all costs, in 1943 and ’44, the Americans grew just as determined to choke production. 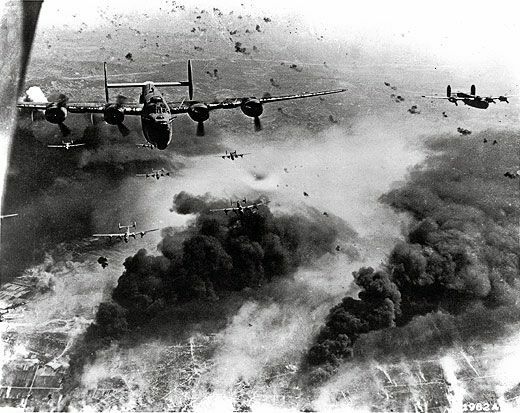 To do it, they sent Consolidated B-24 Liberators of the 15th Air Force, based in Bari, Italy. With a high wing, four engines, and an H-shape tail, a B-24 looks roomy from the outside, but half the crew—the pilots, navigator, bombardier, and radio operator—sit in or near the nose. Then comes the tightly packed bomb bay. “It usually had five 2,000-pound and ten 1,000-pound bombs,” says Musgrove. “It might have even carried some 500-pounds.” A narrow vertigo-inducing aluminum plank links the cockpit with the tail section, which housed two waist gunners, the tail gunner, and the ball-turret gunner, Musgrove’s position. The ball turret was so cramped the gunner could not wear a parachute plus the head-to-toe leather flightsuit, which was the only protection from frostbite at altitude. So the gunner stowed his chute outside the turret, but within reach. If a bullet or chunk of flak cut a power line, the gunner had to hand-crank the turret to a position from which he could wriggle out of the escape hatch. “It was a very difficult place to remove yourself from, if you didn’t have power,” says Musgrove. A hollow sphere of aluminum and glass, the ball turret could spin twin .50-caliber machine guns in an arc of 180-plus degrees. The turret hung more or less from the B-24’s belly, and the gunner inside operated it with electric controls mounted on pistol grips. The grips also carried triggers to fire the .50s. During the summer of ’44, Musgrove, a gunnery instructor, volunteered to fly his 11th mission as a stand-in ball turret gunner. 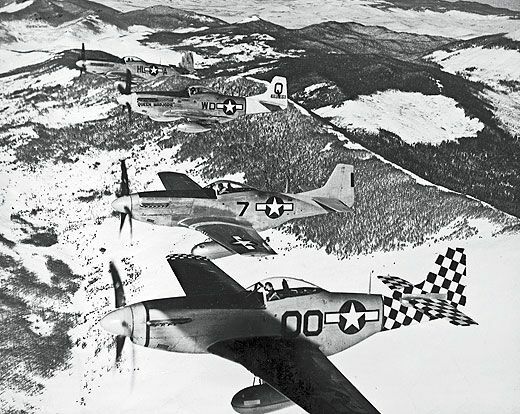 His departure from the 15th’s air base in Italy and flight over the Adriatic and into Yugoslavia were smooth. Over the target—part of Musgrove’s job was to see how well the crew hit it—flak took out two engines. The B-24 started losing altitude, and then a third engine died. Lieutenant Fred Tucker, the pilot, hit the alarm to abandon ship, and from the bomber’s smoky trail, parachutes blossomed. “I had to hand-crank the turret up and get out,” he says. “That took me a while. Then I couldn’t find my parachute, so that made me panic a bit.” The Germans spotted the other parachutes and rounded up all nine airmen. 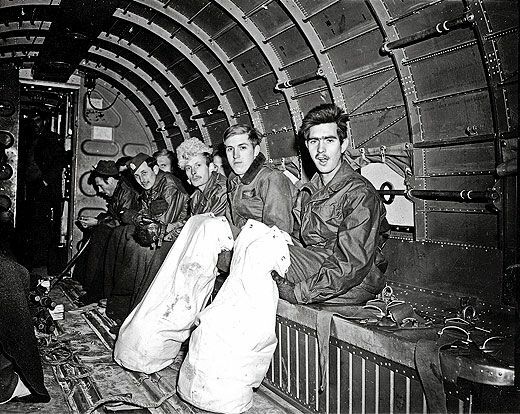 By the time Musgrove finally popped out of the B-24, his parachute opened miles away from the others. The Germans missed him—and they knew it. 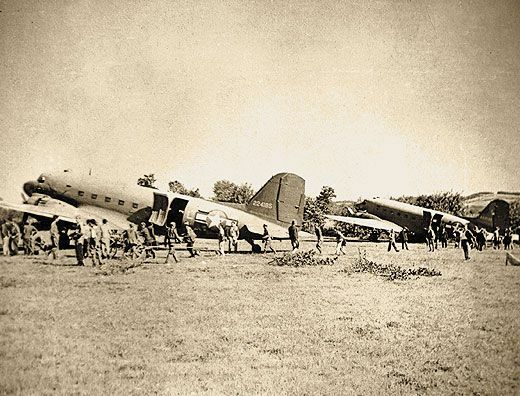 DURING WORLD WAR II, that story played out on every front—a bomber went down, the enemy rounded up survivors. 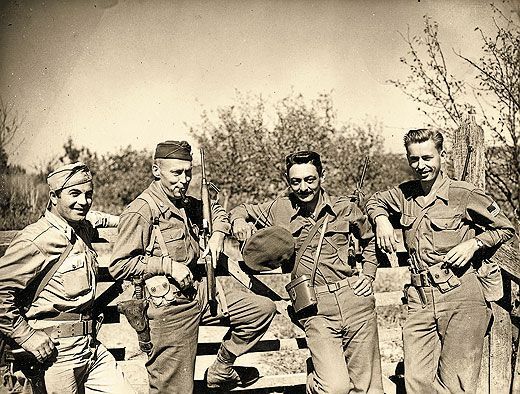 Often the airmen were attacked by shotgun- and pitchfork-wielding civilian mobs, driven to fury by relentless bombing raids; ironically, the airmen would be rescued by enemy soldiers. Where Musgrove went down in Yugoslavia, the opposite happened. 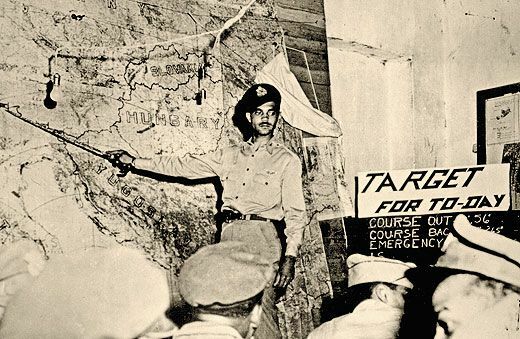 The Nazis had bombed and invaded the country on April 6, 1941, and the royalist government surrendered 11 days later. 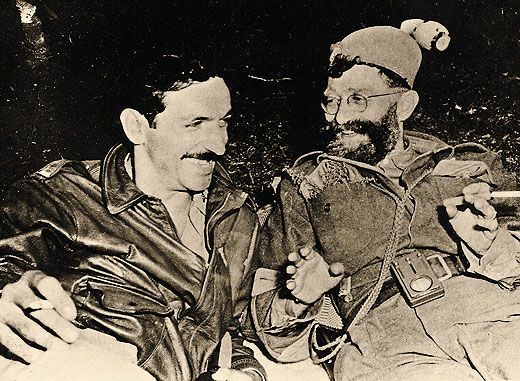 In the chaos that followed, two factions emerged: Marshal Josip Tito’s communist Partisans and General Draza Mihailovich’s royalist Chetniks. Numbering around 10,000, the Chetniks lived in mountainous western Serbia and followed the charismatic Mihailovich. He appeared on the May 25, 1942 cover of Time, which considered him one of Europe’s greatest guerrilla fighters. The magazine’s readers voted Mihailovich Man of the Year, though the editors picked Joseph Stalin. The Allies also went with Stalin instead of Mihailovich: A communist double agent convinced the British to align themselves with Stalin’s man, Tito, and the British convinced the Americans to do the same. By 1944, when flak from Ploesti’s anti-aircraft artillery brought down Musgrove’s B-24, Tito and Mihailovich were fighting not only the Germans, but each other. 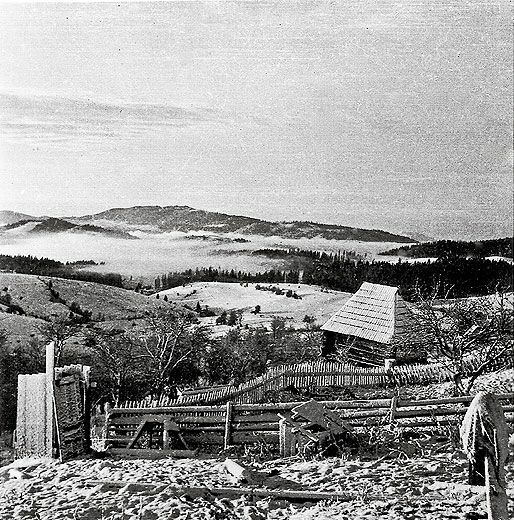 The U.S. forces dropped supplies and weapons for Tito’s Partisans, while the Chetniks salvaged machine guns and ammunition from crashed B-24s and whatever food they could scrounge from the countryside and from the peasants who backed Mihailovich.